Even as a professional powder junkie I am usually a little rusty getting out of the gates. 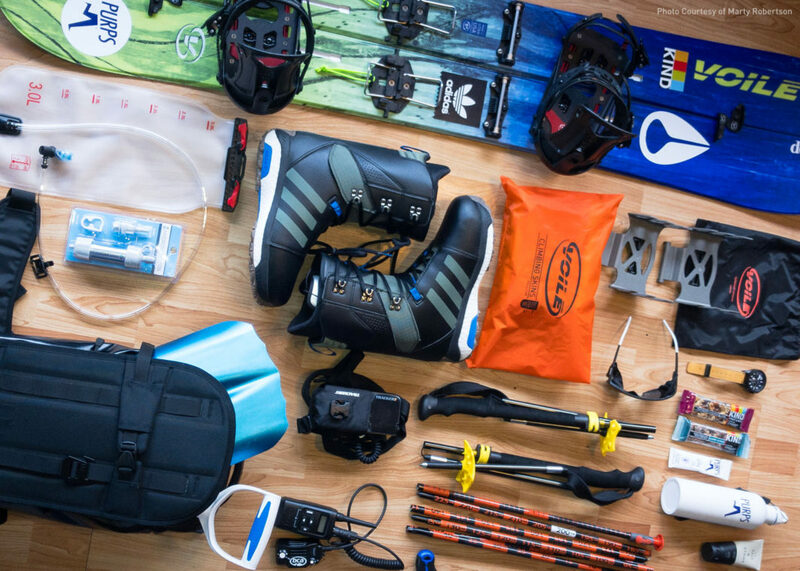 I am fortunate in the fact that I get to ski in the backcountry more than most people every year, but before things get started I like to sit down and organize my thoughts and gear for the upcoming season. The following is a brief refresher to help keep you and your crew safe in the backcountry. Go through your avalanche equipment straight away. • New batteries for your Avalanche Beacon are a must. Check online to see if your manufacturer has any recalls or updates for your beacon. • Inspect your avalanche probe and shovel. Look for frayed cables in between sections of the probe. Make sure the locking mechanism works easily and does not have unusual wear or corrosion. Give your probe a few practice deployments. It should lock together easily without fussing and should feel sturdy once assembled. Old and poorly built probes should be tossed in the garbage. Make sure you shovel assembles easily and look for stressed metal in the handle and blade. Cracking of the paint or unusual flexing means you need to replace the shovel. • If you use an airbag backpack, do a practice deployment before starting the season. I have seen many people carry airbag packs around that would not deploy if needed. Look for unusual wearing of cables and hoses and check manufacturer specifications for tolerances and advice on keeping your airbag pack up to snuff. • Be the person amongst your peers that initiates a practice session for companion rescue. Once the skiing and riding gets good, it is hard to get your buds to stop and practice their companion rescue skills, so do it early and often preseason. • Make sure your partners and loved ones have modern three antenna beacons. Beacons all put out similar signals, but modern technology in beacons allows for simpler, faster and more accurate searching. A good beacon and operator that has practiced will make a big difference in an emergency situation. Don’t use outdated analog or two antenna beacons for your friends that visit or a buddy starting to learn. Old beacons should be used for burying and practicing to find and that is it! At the end of the day, the fancy beacon we carry around is actually to be a better partner, aiding you to find your partners quicker. If your partners do not have modern beacons and know how to use them, you best speak up or choose different partners. • Check your local avalanche forecast on a regular basis. Your local forecasters will outline the specific problems that are seeing in the region. They are collecting data from multiple sources to compile life saving information. Heed their warning and make the avalanche forecast part of your groups discussion before ever leaving the trailhead. • Follow your local snowpack from the first time it snows. A notebook can be a great way to track the seasons snowpack. Often times people may live in an area without an Avalanche Center and Forecasters. The only way to know what is going on in those regions is to document what you are seeing and share that info amongst your peer group in the region. • Track persistent weak layers and how they are trending throughout the season. • Always follow recent snowfall, wind and temperature trends. This will allow you to simplify some of your decisions in the backcountry. Lots of new snow and wind equals dangerous backcountry travel, it is just that simple. • Simplify the decision making process. If you head out for the day and the avalanche forecast is Considerable or higher, you need to stay out of avalanche terrain. People thread the needle all the time and and get away with it, but if you want to come home everyday and feel good about your decision making, keep your slope angles under 30 degrees on considerable and higher avalanche hazard days. Know what is above you, if the low angle slope you are on is attached to steeper terrain above, you ARE in avalanche terrain. • Don’t be to proud or insecure to speak up. Everyone’s concerns and thoughts in a group should be considered equal and taken to heart. Even as a guide, I tell my clients that if they are concerned about safety, they should feel comfortable asking me why what we are doing is safe. If I cannot give them a clear and concise answer as to why it is safe to be doing what we are doing immediately, there is a problem. Ask the pertinent questions and make decision making a group process. Red flags are simple clues that are usually in your face and obvious. Ignoring these signs almost always leads to trouble. • Make a plan with your partners before leaving the trailhead. Talk about the avalanche and weather conditions and plan your day accordingly. Do yourself a favor and discuss and decide on what objectives are suitable for today’s weather and avalanche forecast and do not deviate. You should always feel comfortable abandoning your objective for the day because conditions are not as you had hoped, but NEVER talk yourself into skiing/riding in terrain that you had deemed unacceptable at the beginning of the day. • Have a contingency plan if something goes wrong that day. Let people know where you are going and what time they should expect to hear from you. Someone in the group should be carrying a first aid kit, shelter/tarp, repair kit and an emergency communication device. Work together and split the gear up to lessen everybody’s load for the day. • Know the terrain you are traveling through. Study a map and/or a guide book before heading out. Avalanches can be triggered remotely from below. It is important to be aware of the terrain you are traveling under, especially in low visibility conditions when you are traveling in areas you are unfamiliar with. These are points along your route where everybody in the group needs to stop, talk and regroup. There are always different fitness levels within a group and some days people might not feel 100%. There is always that one agro friend who has to work some stuff out sprinting out ahead of the group. If you set meeting points, it will allow you to discuss how people are feeling, if they have witnessed any instabilities in the snowpack or if someone is having a gear malfunction. A great way to establish these meeting points is to say that you are going to dig a snow pit at them and perform stability tests. This forces the group to have a discussion and gives the person ahead of the group something to do while they are waiting for their crew. • Travel one at a time when crossing avalanche terrain. Make sure to always keep an eye on the last person in the group as they cross avalanche terrain, as they often get forgotten! • Practice safe downhill riding protocol. Establish safe stopping points along the descent where you and your partners can see each other and stay in verbal communication during the descent. Ski one at a time and always keep eyes on your partners. When it’s good it’s good! On the days when it is good and safe in the mountains, you go in with a solid game plan. You feel good about everything you see. There are no red flags. You are not questioning nuances of the snowpack over and over. You stick with your plan and it is a glorious day. The days when you are questioning the snow, the weather, your route choices and trying to convince yourself it is safe, are the days when accidents happen. Stick with your plan and make conservative decisions. Once you start trying to convince yourself or your partners that it is okay, your day is headed in the wrong direction. When it’s good, it’s good and when you look back on those days, it brings a big smile to your face. 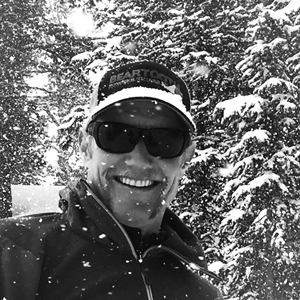 Ben Zavora is the owner and lead guide for Beartooth Powder Guides in Cooke City. Ben has been extensively exploring the backcountry of Montana, Idaho and California for the last 23 years and his enthusiasm for Powder skiing and Ski Mountaineering just seems to grow stronger each year. The goal of Ben and his guides at Beartooth Powder Guides in Cooke City, Montana is to “Create a socially significant business that encourages people to get outdoors and appreciate the beauty of the mountains, while sharing our enthusiasm and love for the wild places of Montana."